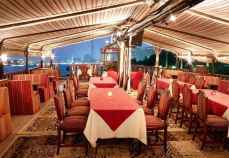 Get aboard a traditional dhow in the heart of new Dubai. 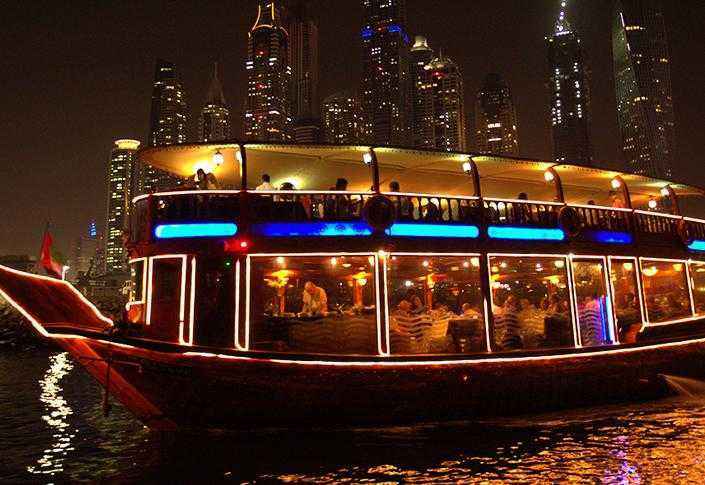 Enjoy dinner on a slow cruise away from the fast paced routine amidst the dazzling waters of Dubai Marina. 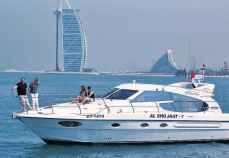 View the iconic Burj Al Arab and the Atlantis hotel from the comfort of your dinner table*. A perfect place under the clear skies overlooking the vibrant aquatic mirage to celebrate great times and special occasions. 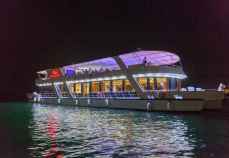 An International buffet dinner over the floating restaurant with Vegetarian and Non-Vegetarian cuisine from four star quality caterers relished with unlimited provisions of Soft drinks and beverages with complete access to a fully air-conditioned lower deck and the open air upper deck. 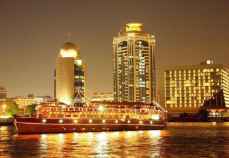 Contact us for marina dhow cruise in Dubai to schedule the most exciting part of your visit. Our friendly representatives are available to assist you.